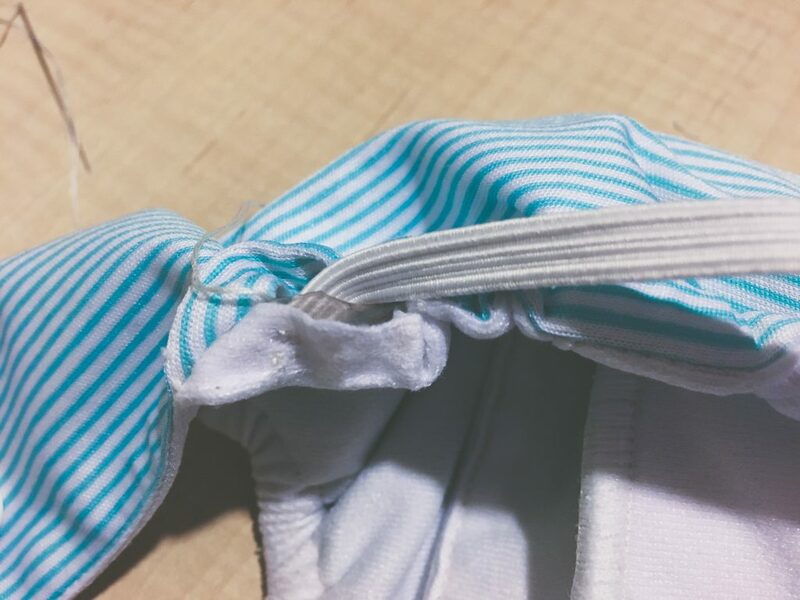 I’ve previously posted about how to replace elastics in Happy Heinys and other pocket nappies with partially exposed elastics, so now we’re going to level up a bit and take a look at nappies with elastics encased in the seam. Sadly, I didn’t document the ‘before’ for this nappy, but the leg elastics in this nappy were shot, and the legs gaped. Not an attribute you want in a night nappy for a heavy wetting bub. I mended those a couple weeks before, but I figured replacing the back elastic would be a good opportunity to document how to do it. Cut 3 lengths of 6mm/0.25” elastic of about 4.5” for the legs, and 4.5-5.5” for the back. You can buy what is labelled as ‘hat elastic’ from the supermarket, or if you need something stronger or more firm, you may need to go to a proper fabric shop. Your elasticated seam will look a bit like this with the elastic stitched in at either end (the diagonal stitching). 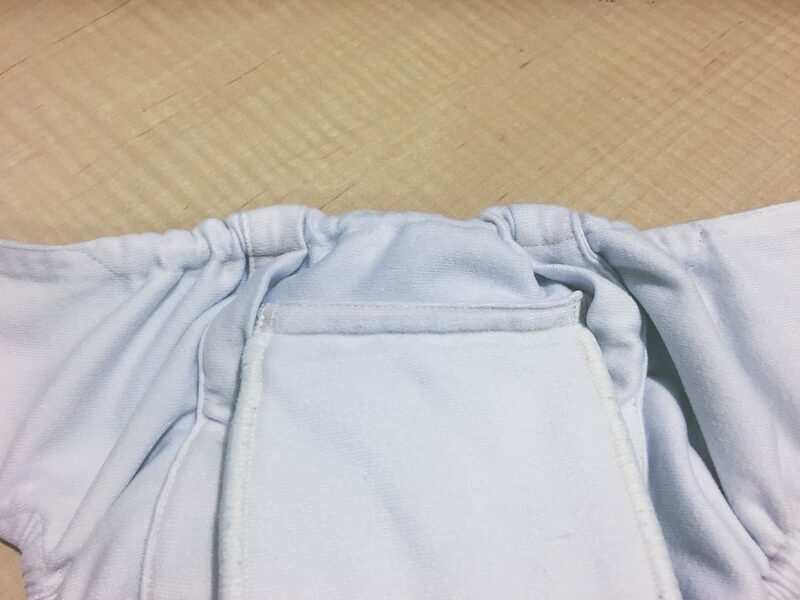 Starting from inside the diagonal stitching, unpick the stitches where the PUL and the lining is joined for about 1-1.5”, or whatever minimal length gives you clear access to the elastic and casing. If you don’t see diagonal stitching where the elastic is fixed, feel for where the elastic ends and start your unpicking from there. Repeat at the other end of the elastic. I’ve used a small bull clip to hold the seam open, but you should be able to see the elastic hidden in the casing. Depending on how the elastic has been inserted, there are a couple ways to attach the new elastic. Slip the new elastic behind the old elastic (see picture below), and securely stitch it into place through the old elastic and the lining fabric. Do not stitch into the PUL. Attach a strong safety pin that is narrower than the casing to the free end of the new elastic, and thread it behind the old elastic inside the casing. Slowly work the safety pin through the casing to the other end and out your other unpicked seam. You will need to be patient with this, as the old elastic may catch on the way. 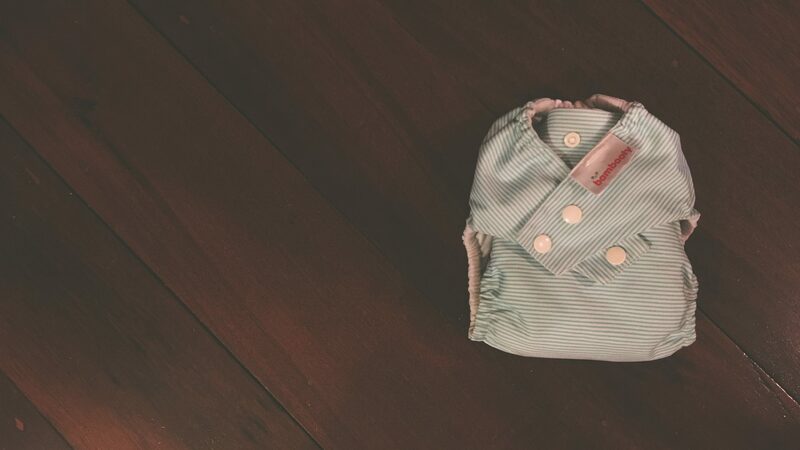 Bambooty nappies use clear swimwear elastic which can breakdown and leave pieces inside the casing. Securely stitch the free end of the new elastic in place as you did before. This method results in two layers of elastic in the casing, but this shouldn’t cause any fit problems. 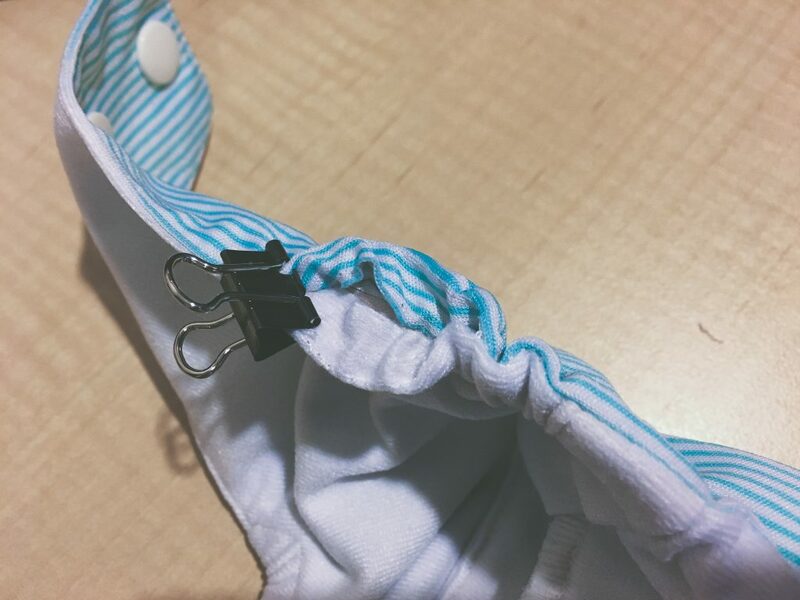 ​Make a cut in the old elastic leaving a stub near the beginning, and attach a safety pin to the free end so that it doesn’t get lost in the casing. Secure one end of your new elastic firmly to the stub so that it is well anchored. 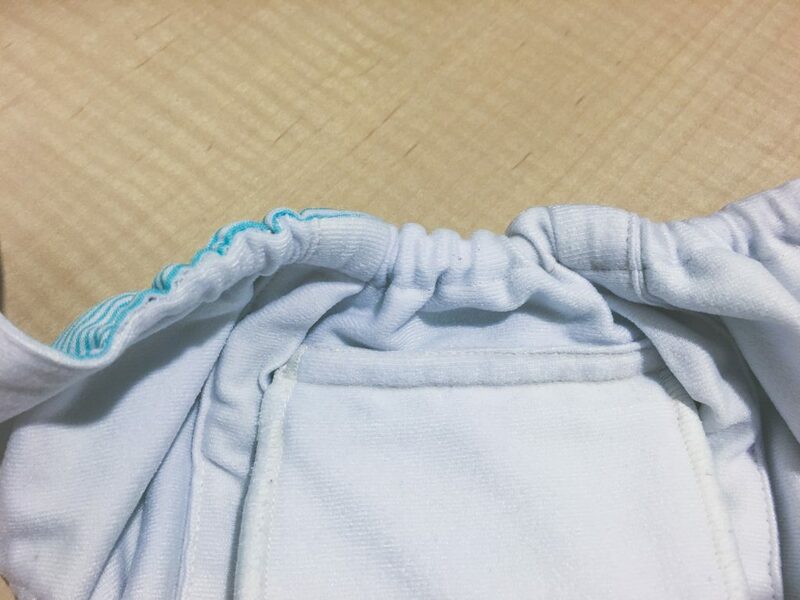 If the elastic is swimwear elastic, or if you want more security, stitch through the lining fabric as well so that the new elastic won’t break away from its anchor point. Tack the other end of your new elastic to the end you just safety pinned so that it is secure. Remove the safety pin. At the other end of the casing, pull the old elastic out. The new elastic should come with it. Cut the old elastic, leaving a stub at this other end of the casing, remove the tacking stitches and secure the free end of the new elastic to this stub. Using a slip or ladder stitch, close up the openings you made in the seam. Note: Using polyester thread instead of cotton will prevent leaks where you stitch. Probably not a big deal in this case as you’re stitching onto the edge of the seam, but if you need to do any mending with outside facing stitches through PUL, polyester is apparently what you need.